Rebel Og Feile Peile group stages will take place on April 1st. The draw for the group stages have been made by officers of Coiste na nOg. One additional to the Feile this year will be the sponsorship of the competition by the Evening Echo who are the title sponsors for 2017. 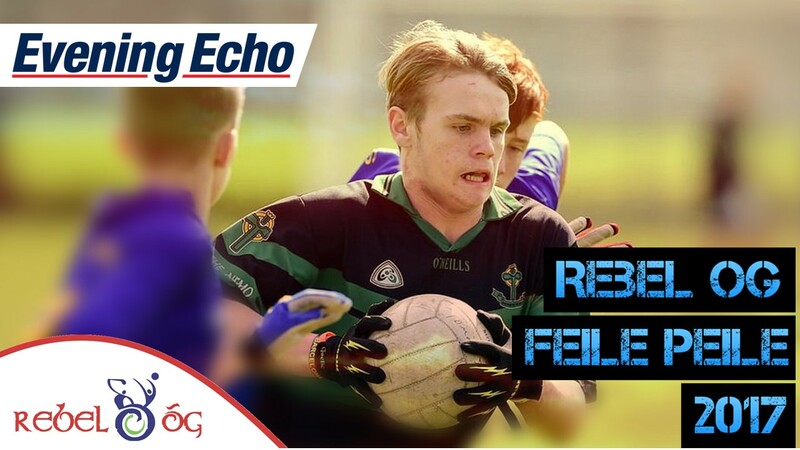 The Evening Echo will cover all Finals of the Rebel Og Feile and round ups of all the group stages. The competition will have three divisions this year with Cork sending the winners of each division to National Feile 2017. Rebel Og are delighted to announce the following information based on the 2017 Feile Peile. 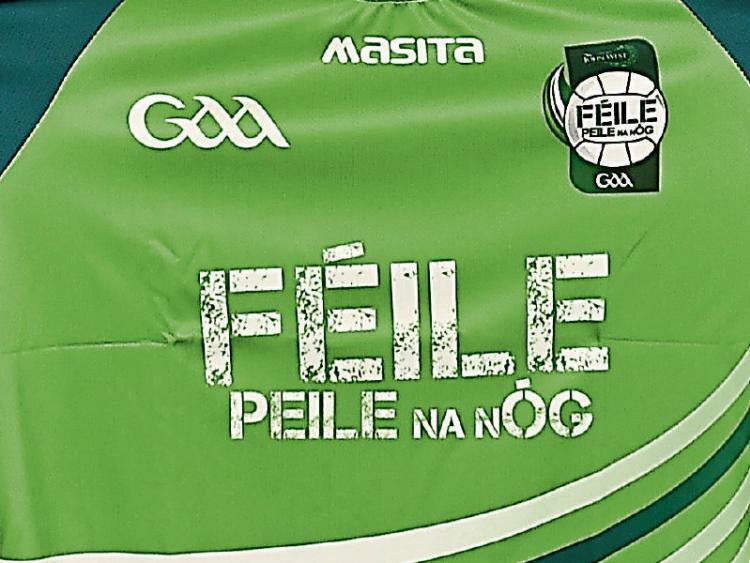 This year’s National Feile na nÓg is being hosted by Ulster, with Cavan, Fermanagh and Monaghan the host counties. These National Finals are scheduled for Friday 23rd, Saturday 24th and Sunday 25th June. Cork have been invited to send three representatives from our Feile which will commence on Saturday 1st of April with a total of 65 teams entered. These games will be held at venues across the County with games scheduled to start at 11.00 am. Division 1 (Premier Teams) has an entry of 19 teams. This Saturday Group stages will be held at 4 different venues with Group winners going forward to the Semi Finals and Finals at the St. Finbarr’s venue at Togher on Sunday 2nd April. Groups on Saturday will be 3 groups of 5 teams and 1 Group of 4. Games in the 5 team Group will be 12 minutes a side while the games in the 4 team Group will be of 15 minutes a side. In these Group Stages in the event of teams ending level on points, the team with the lowest overall score conceded will be declared the winner. In the Semi Finals, 5.30 pm and Final, 6.30 pm on Sunday games will be 15 minutes a side. In the event of a draw extra time of 5 minutes a side. Should sides be still level at the end of extra time, the referee will restart the game by throwing in the ball and the first side to score will be declared the winner. Here we have an entry of 23 teams, which will consist of 5 Groups of 4 teams and the 6th Group containing the remaining 3 teams. Games in the 4 team Groups will be 15 minutes a side while in the remaining group of 3 teams, games will be 20 minutes a side. 2 Quarter finals are necessary one involving the winning team of the 3 team Group plus 3 other winning teams, the draw for which will be made in advance. The 2 quarter finals games on the Saturday will be 12 minutes a side, with extra time of 5 minutes a side. Should sides be still level at the end of extra time, the referee will restart the game by throwing in the ball and the first side to score will be declared the winner. In these Group Stages in the event of teams ending level on points, the team with the lowest overall score conceded will be declared the winner. The (Division 2) Finals and finals will take place on Easter Monday 17th April and venues for these games will be finalised once the pairings are known. 23 team s have also entered this Grade. Games like those of Division 2 will consist of 5 Groups of 4 teams and the 6th Group containing the remaining 3 teams. Games in the 4 team Groups will be 15 minutes a side while in the remaining group of 3 teams, games will be 20 minutes a side. 2 Quarter finals are necessary one involving the winning team of the 3 team Group plus 3 other winning teams, the draw for which will be made in advance. The 2 quarter finals games on the Saturday will be 12 minutes a side, with extra time of 5 minutes a side. Should sides be still level at the end of extra time, the referee will restart the game by throwing in the ball and the first side to score will be declared the winner. The ‘B1’ and ‘B2’ teams will make up (Division 3) will compete at 13 a side. The (Division 3) Semi Finals and finals will also take place on Easter Monday 17th April and venues for these games will be finalised once the pairings are known. In the Semi Finals and Final games will be 15 minutes a side. In the event of a draw extra time of 5 minutes a side. Should sides be still level at the end of extra time, the referee will restart the game by throwing in the ball and the first side to score will be declared the winner.